The present study aims to examine the association between various dimensions of psychological well-being (subjective happiness, satisfaction, and meaning in life), spirituality, and demographic and socioeconomic background of university students. A total of 414 postgraduate students were selected from three different schools, viz. science, management, and social sciences/humanities of Pondicherry University (A Central University), Puducherry, India, following multistage cluster sampling method. One semi-structured questionnaire and four standardized psychological scales, viz. subjective happiness scale, satisfaction with life scale, meaning in life questionnaire, and spirituality attitude inventory, were used for data collection after checking psychometric properties of the scales. The results show that a positive significant correlation between spirituality and subjective happiness exists. Spirituality is also correlated with meaning in life and satisfaction with life scale. 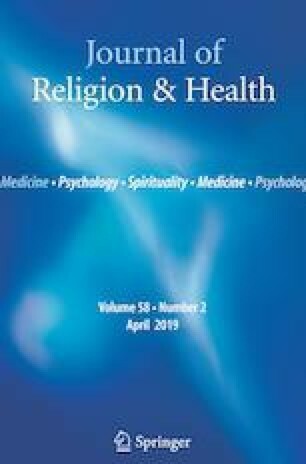 Statistically, no significant gender difference was observed with respect to subjective happiness, meaning, and satisfaction in life as well as spirituality although the mean score of female students was more in all the four psychological domains. Non-integrated students are found to be happier than integrated students, and statistically it was significant. Positive interpersonal relationship and congenial family environment were probed to be facilitating factors for positive mental health of university students. There is a severe need to address students’ mental health by every educational institution through multiple programs. This study did not receive any fund from any source. It was a syndicated study. No animal was involved in the study. Crime in India 2012. (2012). National Crime Records Bureau, Ministry of Home Affairs, Government of India. Retrieved from http://ncrb.gov.in. Mistler, B. J., Reetz, D. R., Krylowicz, B., & Barr, V. (2012). The association for university and college Counseling Center Directors annual survey. Retrieved from Association for University and College Counseling Center Directors website: http://files.cmcglobal.com/Monograph_2012_AUCCCD_Public.pdf. Rich, I. I. (2012). Gender and spirituality: Are women really more spiritual?. Rich, Alvin II, “Gender and spirituality: Are women really more spiritual?” (2012). Senior Honors Theses. Paper 281. http://digitalcommons.liberty.edu/honors/281 Liberty University.